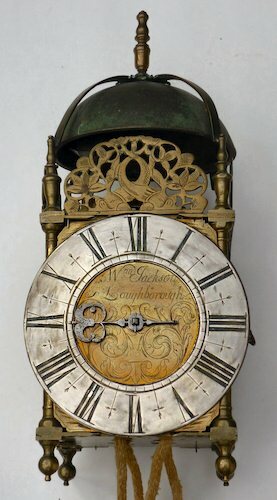 Single-handed hooded clock with alarmwork with a tiny single-sheet engraved brass dial, made in the late 18th century. 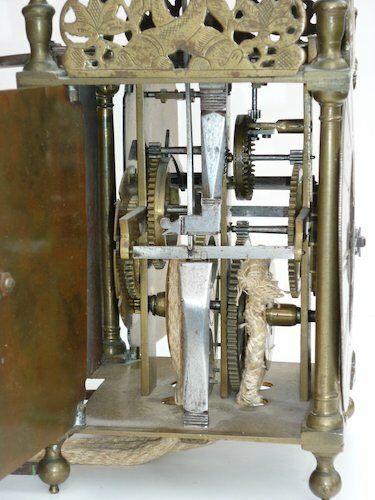 A rare verge pendulum lantern clock made in the late 1690s by William Jackson of Loughborough, the first clockmaker to work there. He also worked at Lutterworth, Leicestershire. Born 1673, believed died 1768. 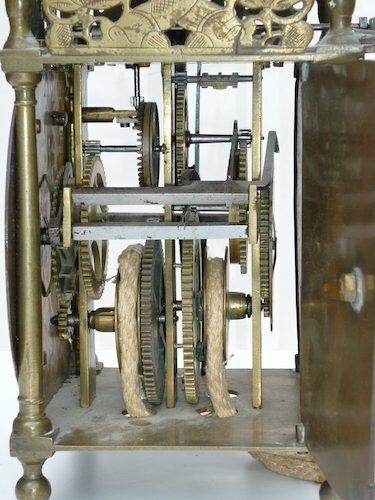 This is one of the oldest clocks from the entire county. 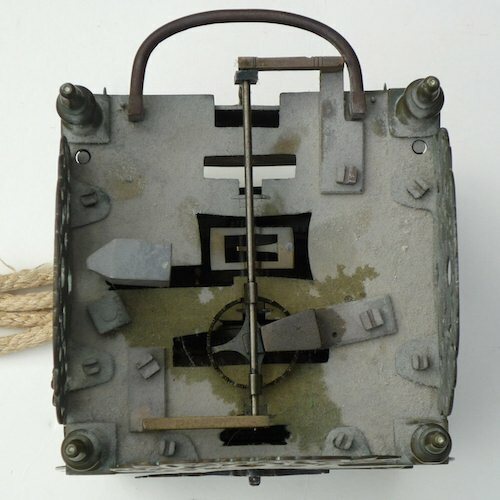 Two other lantern clocks are known made in Loughborough by him, and one at Lutterworth. One is in Leicester Museum collection. Pictured before cleaning.